It is 1950 Briton England, and Detective Inspector Edgar Stephens latest case is gruesome. 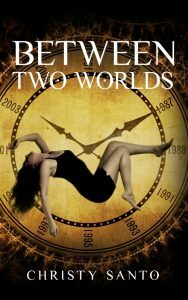 A woman is found cut into three pieces and packed into luggage mimicking a magic trick made famous by his friend Max Mephisto, a renown magician and a former member of the Magic Men. The Magic Men were a group of magicians and military who used wood and props to create soldiers, tanks, and more to fool the Germans. The tragic death of one of their own, disbanded the group. But why would someone kill this woman years later to get at the disbanded group? Stephens turns to Max for his magic knowledge and help him to identify the dead woman. At first he hesitates but when he shockingly realizes who the dead woman was Max changes his mind and the two work together to hunt a murderer before a Magic Man or a loved one becomes dead. Ellie Griffith, author of the Ruth Galloway mystery series, has created another series on pair with it. 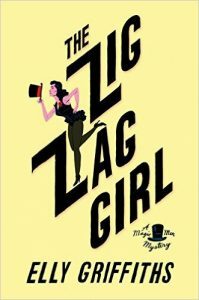 Also her writing in Zig Zag Girl reminds me fondly of Agatha Christie. I look forward to finding out what new case brings Edgar and Max back together again.